Practitioners: Save 15-35% on primary care and on specialties including allergies and asthma, pediatrics and many more. Hospitals/Outpatient Surgery: Save 5-20% on many hospital stays and outpatient surgeries that you arrange in advance. *Examples only. Actual costs and savings may vary by provider, geographic area and service received. Prices are subject to change without notice. Save 10-35% percent on your dental care needs at more than 64,000 dental care locations nationwide. Our vision network offers savings on eye exams, glasses, contact lenses and even laser vision correction. Members can save at more than 22,000 vision care locations and more than 600 laser vision correction locations. Eye examinations: Pay no more than $40 each for an annual eye exam for the member, member spouse and dependents (an average savings of $22). Laser vision correction: 15% off standard pricing and 5% off promotional offers (available from all network providers). Or, choose fixed pricing ranging from $695 to $1,895 per eye (available only from LasikPlus centers). Enjoy average savings of 20% on commonly prescribed generic and name brand drugs at approximately 62,000** leading drugstores and supermarkets. Sometimes drug stores price popular drugs at below-discount rates. You are guaranteed always to receive the lowest price available at that store on that day. Simply show your member ID card at a participating pharmacy to get the discounted rate. To save an average of 50% off retail prices, use the mail order pharmacy for recurring prescriptions. Members trying to conceive can save 20-30% on reproductive care from physicians and facilities in the ParentSteps® network. Infertility Centers of Excellence facilities: The ParentSteps provider network is comprised of centers that focus on high pregnancy rates and low triplet rates. Specialized clinical consultants: Trained nurses specializing in infertility are available to provide guidance and education on causes of infertility, treatment alternatives, risks of multiples and other patient questions. Medical treatment discount: Members enjoy average savings of 12-33% on the fertility treatments shown below. Pharmacy discount: Members save on fertility medications from a leading manufacturer and distributor. Save 15-35% on treatment from over 38,000 behavioral health practitioners, and 15-20% at 680 facilities nationwide. Get 30% off usual and customary charges on laser hair removal, microdermabrasion and cellulite reduction therapy from participating ACSN providers. Teladoc is a national network¹ of board certified physicians providing cross coverage consultations 24 hours a day, 365 days a year. Teladoc physicians use medical records and telephone consultations to diagnose, recommend treatment and write short term prescriptions². Teladoc does not replace the existing primary care physician relationship, but instead enhances it with an efficient, cost-effective alternative for minor medical problems. Teladoc is changing the way people access medical services by using modern technology to match the needs of today’s fast paced workforce. Below are just a few ways you and your dependents (age 10 years and older) benefit from becoming Teladoc members. Does Teladoc replace my doctor? No. Teladoc Physicians do not replace your primary care physician. How do I request an appointment to talk with a physician? After enrolling as a member, logon to your account at http://www.Teladoc.com and request a consult. You can also call 1.800.Teladoc any time day or night and a representative will request your medical consult. How quickly can I talk to the doctor? Our average call back time is usually under an hour, but all calls are guaranteed within three hours. Note: If a member misses the call from the consulting physician (phone turned off or anonymous call blocker is on), he is returned to the waiting list and his three-hour guaranteed time period starts over. After three missed calls, the consult request is cancelled. Can my son, who is away at college, use this service too? Yes! Register your son as one of your dependents and have your son complete a medical history disclosure online. Be aware, your son must be an eligible dependent on the qualified medical plan. Can Teladoc resolve my medical problems? In 80-90% of the cases the Teladoc member’s medical problems are handled to the satisfaction of the member. ¹ States: Teladoc is not available to residents or in the state of Oklahoma. ² Prescriptions: Teladoc physicians prescribe short term prescriptions, excluding DEA controlled substances, when appropriate. Members: Teladoc provides services for members 10 years of age or older. Services: Teladoc physicians don’t replace your primary care physician, but when your physician isn’t available, Teladoc is here. Health Plus includes a service called Patient Advocacy which can provide tremendous help and reassurance when you’re faced with large medical bills. This service links you to negotiating professionals who help you resolve your bills with medical providers, whether in or outside the network or whether it’s after you’re scheduled for admission or once you have a bill in hand. If you’ve already received medical care and have bills in hand, you’ll be assigned a personal negotiator who will review your bills and financial situation. Depending on your financial resources, your negotiator may pursue a variety of options with the facility; including helping you apply for financial assistance or negotiating a settlement or payment plan. Note: Patient Advocacy is not insurance and does not provide funds to pay for bills. Patient Advocacy is a best efforts service, and despite our diligent efforts on members’ behalf, some providers refuse to make accommodations to help resolve outstanding medical bills. 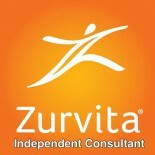 This entry was posted on June 17, 2012 by Zurvita.com/HealthRoads in Healthcare and tagged Behavioral Health, Cosmetic Services, Medical Care, Patient Advocacy, Pharmacy Savings, Teladoc, Vision Care.